When her law professor parents decide to take a sabbatical to teach in England, Rory Deveaux leaves her small Louisiana town for a boarding school in London. She arrives just as a series of gruesome murders, seemingly committed by a Jack the Ripper copycat, are terrorizing Londoners and baffling police. Rory never imagines becoming entangled in the case, but that’s what happens when she sees a man who just may be the culprit. The problem is, no one else can see him except Rory. Keeping her from becoming the killer’s next target is going to require the help of a secret organization that deals with things Rory never thought possible, but there’s no time for doubts if she wants to stay alive. I’d had my eye on The Name of the Star for a while, and I was not disappointed. This is a very clever take on the story of Jack the Ripper, with a paranormal twist to boot. Part of me feverishly turned the pages to see what would happen next, while another part of me dreaded what I’d find. Reading this in the middle of the night was sometimes creepy, to say the least. I loved how this book shifted in tone so suddenly, yet without seeming abrupt. One minute, Rory is relating anecdotes about her Uncle Bick and Cousin Diane back home in Louisiana and warming up a jar of Cheese Whiz that she had shipped from America. The next minute, a serial killer who has eluded even surveillance cameras but has been seen by Rory is threatening to take out her eyes. On the surface, this novel seems like an odd combination of humor and horror, but believe me, it completely works here. Never have I laughed so much while reading a book about a psychopathic murderer. Look, I know how weird, and even macabre, that sounds. But Rory has this fantastic sense of humor, and if you met “Call Me” Claudia, the housemistress of Rory’s dorm with the rabid field hockey obsession, you’d be chuckling, too. Maureen Johnson did a brilliant job plotting out this story. I love that aha moment when the small details that appeared insignificant at first coalesce into a complete picture that leaves me astonished. As I read, I wasn’t sure how the title, or even the name of the series, fit into the story, but once I found out, I marveled at how both tied into the novel. This was the sort of book that I enjoyed reading because it was like assembling a jigsaw puzzle; the tension-filled story built piece by piece, and the fun was in trying to put the correct pieces together. I liked Rory a lot, but the character who most intrigued me was Stephen Dene, the police officer who takes a special interest in the Ripper case. Actually, there’s much more to Stephen’s job description than that, but going into too much detail would give away a key part of the plot. Stephen possessed a quiet intensity that I found incredibly cool. Whatever the situation is, he’s the type of person who instinctively knows how to handle it. He’s reserved when it comes to revealing information about himself, but the part of his backstory that he opens up to Rory about is quite sad. I definitely hope to learn more about Stephen as the series goes on. The one tiny thing about this book that I wasn’t keen on was the tepid romance. I’m not even sure that “romance” is the right word to describe Rory and her classmate Jerome locking lips then acting all awkward around each other. The whole scenario just felt awkward in an otherwise stellar novel, so that’s probably why it stuck out in my mind. Fortunately, though, it’s a minor plot point, and it’s not like it broke the book for me. Plus, I think (well, hope, more like) that future events on the romance front may take a turn that I would be very happy with. 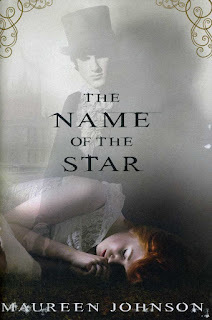 Overall, The Name of the Star was an exciting thriller that managed to both make me laugh and send chills down my spine. I always love a good dichotomy, and this book featured one of the best I’ve encountered so far. I’m looking forward to what’s next for Rory (and Stephen!) in The Madness Underneath. The Name of the Star is a suspenseful, and at times heart-pounding, novel that deftly takes a true story and mixes it with the supernatural. I really enjoyed the mystery element of the book, and I usually don’t read that genre. Add to that the paranormal aspect, and this was one mesmerizing read. What's really cool is how the title relates to the story; it was so cleverly done. I hope you get to read this! Horror and humor? Sold! I have been obsessed with the Experiment in Terror books and they have both, I love it. It's such a great balance. Nice review! I have the first book from that series on my TBR list! I've really developed a fondness for books that have me laughing one minute and then suddenly turn all dark and scary. I love the idea of this! Great review! I am listing it! I hope you enjoy it as much as I did! I'm super excited for the sequel next month! I have been wanting to read this for a while and keep putting it off. Need to move it up on my TBR pile! I kept putting off reading this too, and one day I spotted it at the library and decided that it was finally time to read it. I've since bought my own copy because I just loved it. I hope you love it, too! I probably still would have enjoyed this even if it had been a standard thriller because the story is so carefully plotted and paced, but the humor just put it over the top. This book sounds great. I haven't read a lot of Jack the Ripper books and this is a good place to start esp with the paranormal element. The paranormal aspect is so well done here. Ally read another YA Jack the Ripper novel, Stefan Petrucha's Ripper, and really enjoyed it. Rory sounds great, and sounds like the paranormal was woven in really well. Great review. Rory was an awesome main character- funny, smart, and an all-around great narrator. I feel like comedic horror is kind of a misunderstood genre, and I actually hadn’t been aware that this book was funny at all. I’m definitely much more interested now that I know it’s funny. The concept sounds intriguing, too. To me, there were two sides to this book: the one that had Rory's amusing stories about her slightly eccentric relatives and then the dark, serious one that had her fearing for her life. The juxtaposition just clicked with me. This is such a great review. I couldn't read your review for the second in this series because of the spoiler alert, which I appreciate, BTW. 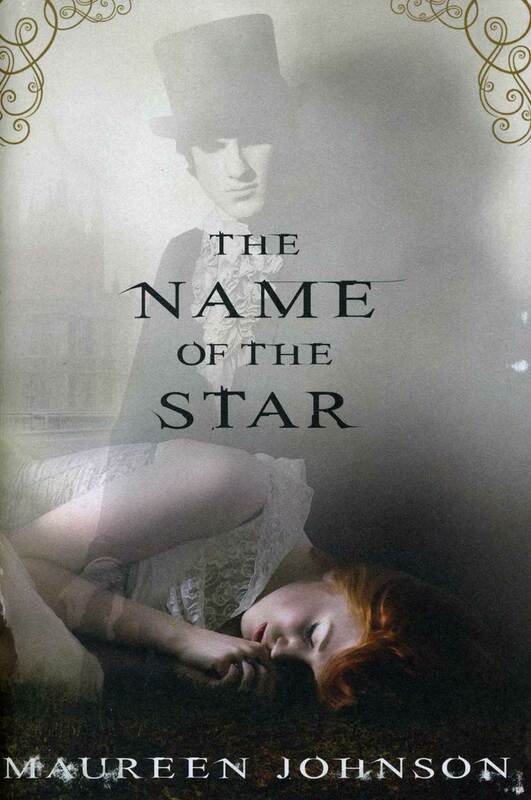 I had forgotten all about The Name of the Star, and I am thinking that it never officially made it to my TBR. I love suspense and I really have to read this book. This was one of the first books I added to my TBR when I joined Goodreads; I loved the premise and the London setting, and I was not let down at all. Hope you enjoy it as much as I did!